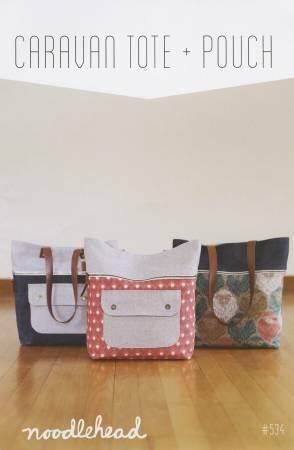 A useful and sturdy tote with plenty of great organized storage. You'll be ready to go wherever life calls. Mix and match your favorite prints! Exterior zippered pocket and flap pocket. Knitting needle slip pocket and yarn guides. Bonus zippered pouch is included with the pattern. Instructor Bio: Mary recently moved from New York and is a modern quilting enthusiast and an AMAZING bag maker. Mary is a retired math teacher and she taught classes at Amelias Garden Sewing Boutique in New York. She is also the co-designer of The Perfect Wallet! Mary enjoys teaching others and building their sewing skills. We are so excited to have her as part of our teaching team!